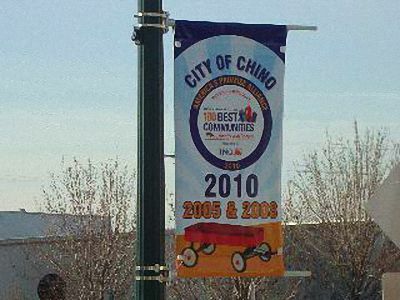 Chino is located in San Bernardino County near the Chino Valley (71) and Pomona (60) freeways. Chino has a long history of serving the agriculture and dairy farming needs of Southern California. It was awarded the prestigious “100 Best Communities for Youth” award for the second time in three years in 2008. When the vision of the College Park Master Planned Community came into existence, the idea was to create a community with a college town atmosphere; hence the name, College Park. The street design chosen was a traditional neighborhood design to ensure continuity. There are small neighborhood parks located throughout College Park Chino. Located close to the 71 freeway at the intersection of Euclid and Eucalyptus, College Park is close to the San Bernardino mountains, shopping, colleges and recreation. This array of homes has delightful mountain views and a quaint hometown feel.